Hydraulic lift system allows display to easily be opened and closed with keyed entry, and locks automotically. 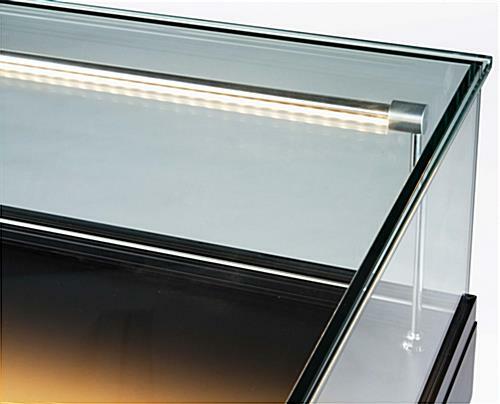 Tempered glass sealed with UV bond to firmly hold together lift top. LED lights last longer and are more energy efficient than halogen lights. Display is compatible with other cases, and can be used in a wide variety of configurations. Semi-gloss black finish on MDF base adds an attractive appeal to high-end display unit. 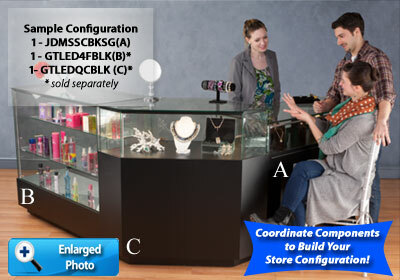 This LED display case is a great addition to any jewelry store. 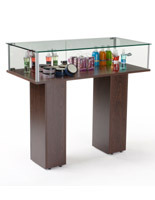 Prominently showcase the finest pieces in this cabinet with the hydraulic lift technology. 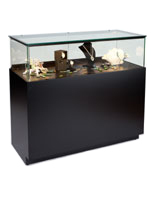 This sit down LED display case has a beautiful semi-gloss black finish and will coordinate with any decor. Each of these stands has lighting in the front radiating from a silver banister stretching the entire display. 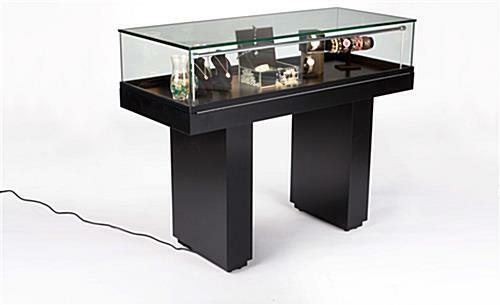 This LED display case that is luxurious will illuminate all items, and the cabinet offers plenty of advantages over halogen lighting. LED lights have up to 5x longer of a lifespan and are much more cost effective over long term use. This contemporary LED display case, also known as a floor cabinet, has plenty of features that make it stand out against competitors. 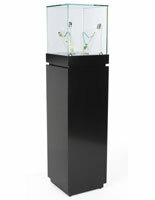 This cabinet stand can also be used for museums and exhibits. The sit down design of this LED display case allows employees to be seated across from customers and let them get a closer look at products. 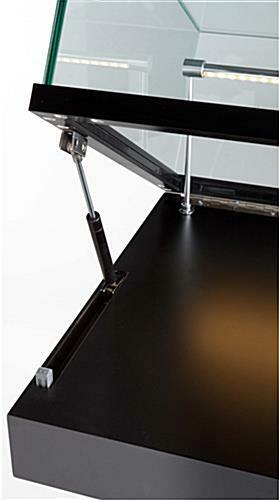 Easily open the hydraulic lift by simply turning the key and raising the tempered glass top. 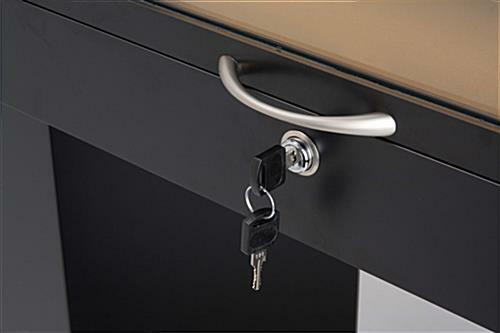 This LED display case that has a hydraulic lift system remains locked unless the key is used. Match up this Grace Tyler series cabinet to similar products to setup an entire store configuration. This art showcase, LED display case, can be mixed and matched with many other products to create an entire layout. The semi-gloss black finish on the tempered glass cabinet will blend with any decor. 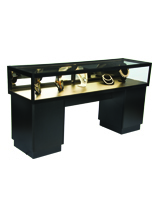 Each LED display case that has lift top access is a great addition to jewelry stores.